82-84 Main Street, Cambuslang, Glasgow. G72 Tel: 0141 641 9090. Cheers. 2005. What a nice building. Mr John Morrison was born in Glenbuck, Ayrshire. 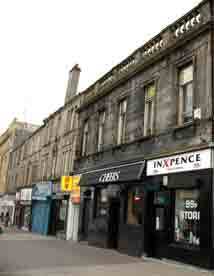 He took over premises at 82-84 Main Street, Cambuslang around 1929. 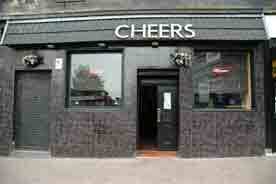 He previously was manager for Mr A Thomson who held the licence for premises in Wallace Street, Glasgow. 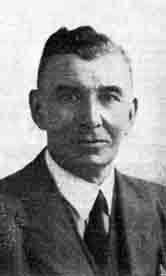 Mr Morrison was keenly interested in Trade activities, he was a member of the Scottish Licensed Trade Defence Association in 1942 acting as Managing Committee and had served on the Executive Committee of the Scottish Licensed Trade Veto Defence Fund. He was President of the Cambuslang Association with which he had been identified for some years. John Morrison’s favourite pastime was bowling, a sport in which his enthusiasm and skill had brought him international honours. In 1946-47 he represented Scotland against England, Ireland and Wales, and in July 1948 he was again honoured by being selected to play at Edinburgh in the Test Match against America. In connection with Cambuslang Bowling Club, of which he was past president, Mr Morrison had won numerous competitions, including four Presidents’ competitions and on three occasions the Club Championship. Since 1941 he was a member of the Glasgow Ex-Presidents’ Bowling Club. He gained another notable success in 1942 when he won the Glasgow District Championship and went on to complete at Queen’s Park in the Scottish Singles Handed Championship.